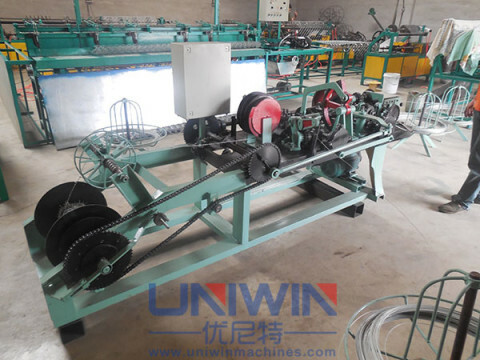 Barbed Wire Machine is designed to make single twist barbed wire or double twist barbed wire. 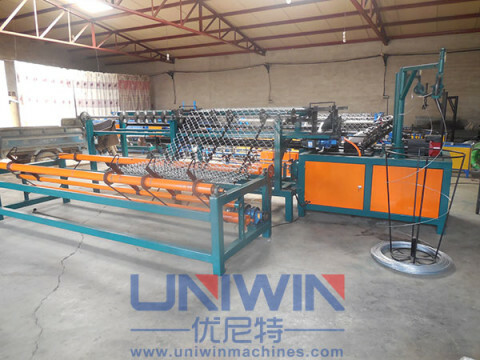 It includes two main parts of wire wrap machine and barbed wire collection machine. 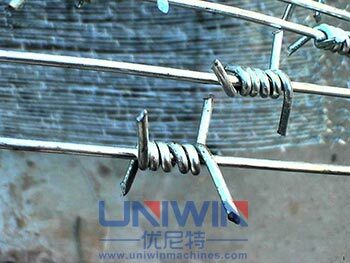 Barbed Wire machine is a new type of guard fence and easy operation and high-capacity with low noise. Twisted number and barbed space can be customized according to customer’s requirement. And also it used advanced electronic counting control system to control the output weight. 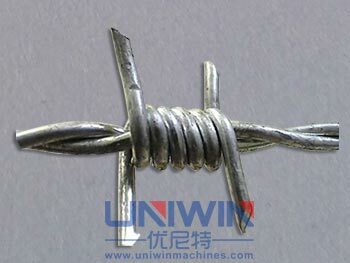 The materials to make barbed wire : Generally used is the hot -diped eletro-galvanized and PVC coated wire AISI430 and AISI304, PVC-Plated, Low Carbon Steel Wire, Thermo-Plated with Zinc etc. 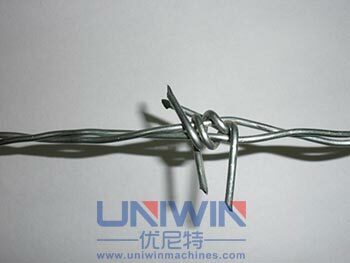 Applications of the barbed wire : Grassland boundary,railways ,highways, forest protection,Industrial and mining enterprises, agricultural,private villas, banks, prisons, airports, etc. To see the videos,pls clicek the video tab .